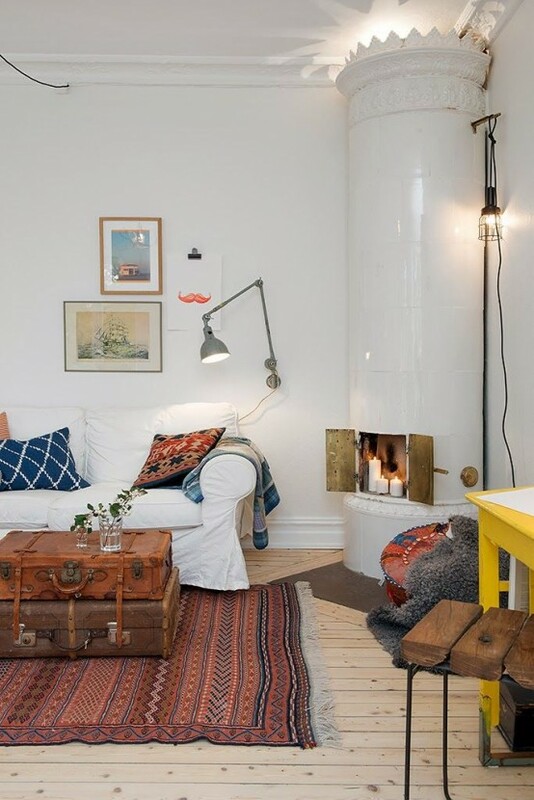 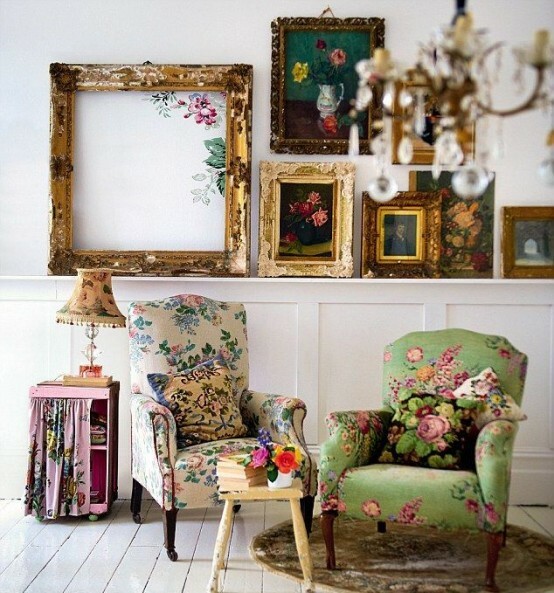 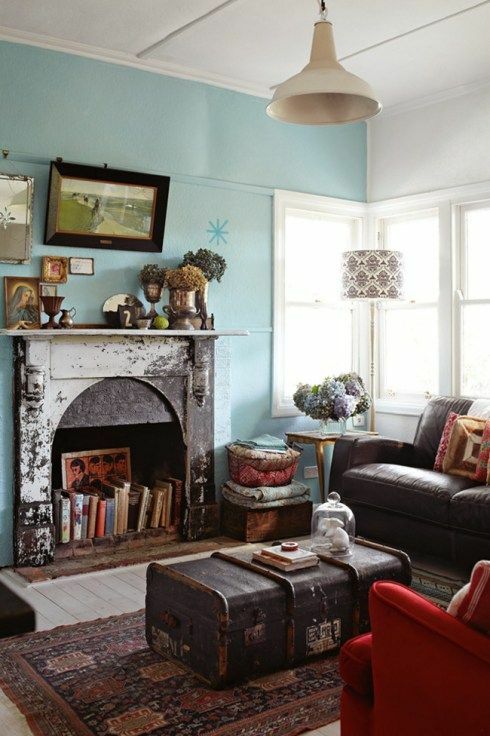 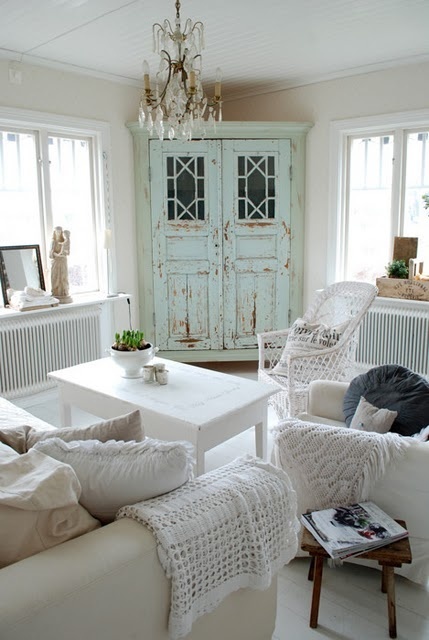 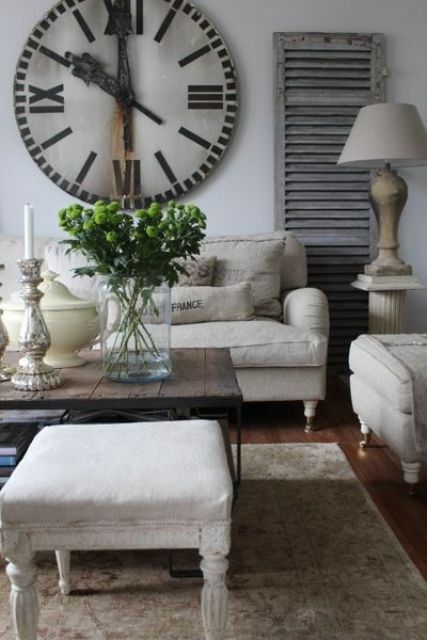 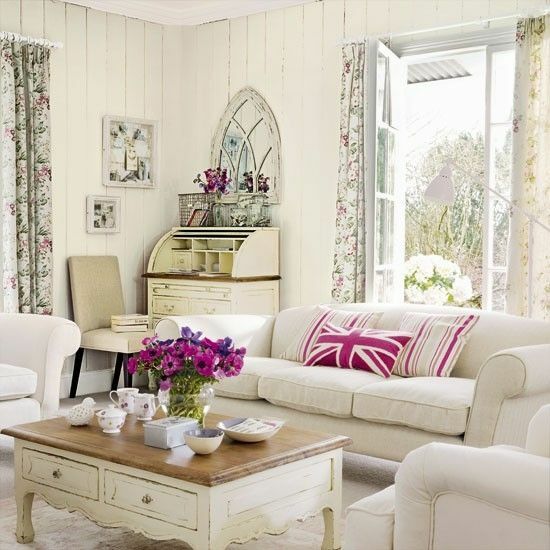 We continue spoiling you with vintage eye-candies, and today it’s all about living rooms. 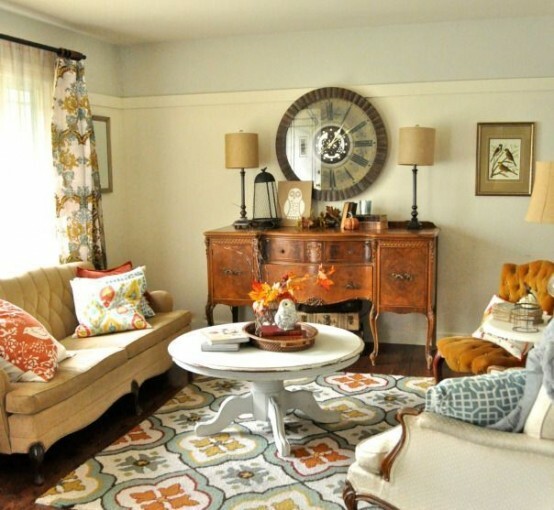 Ah, those vintage living rooms! 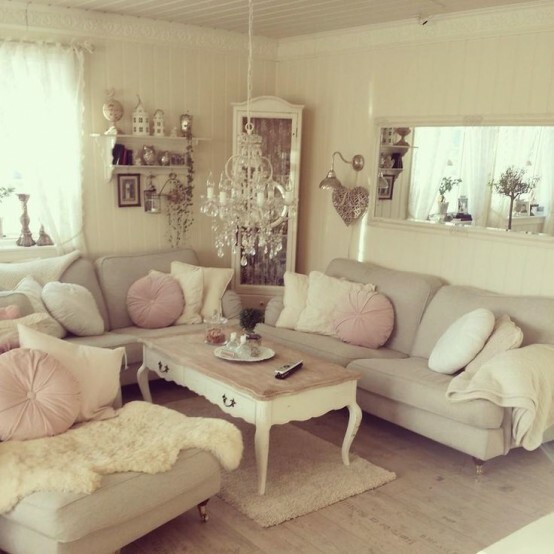 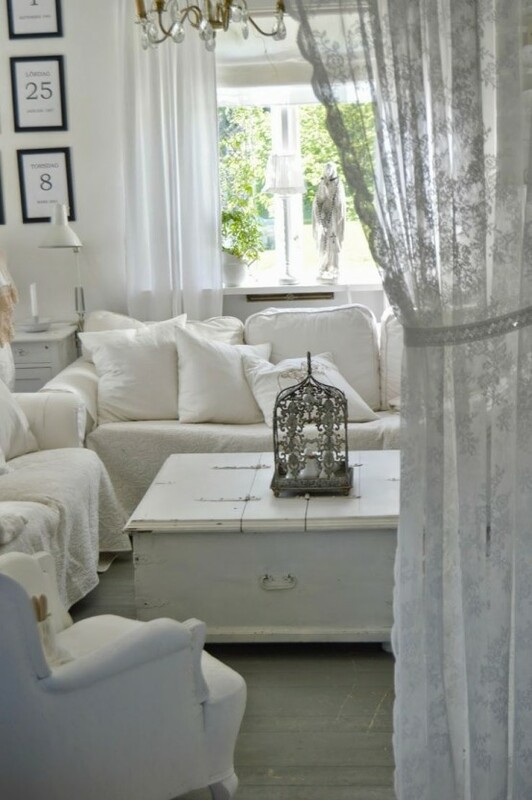 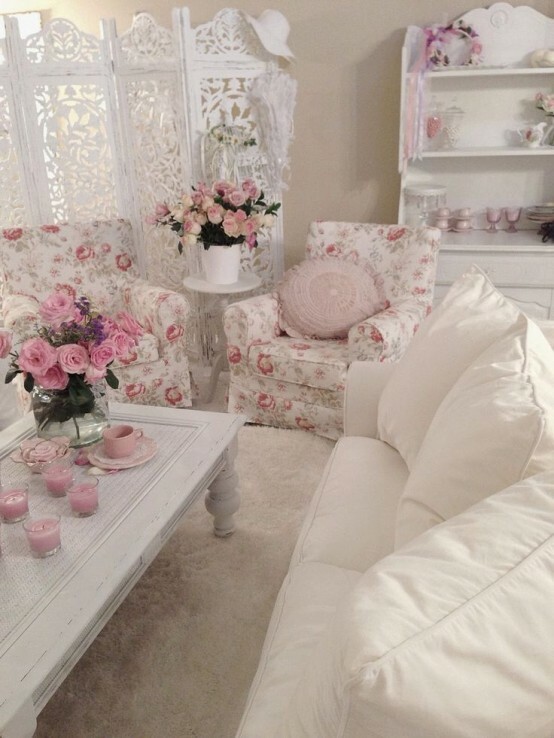 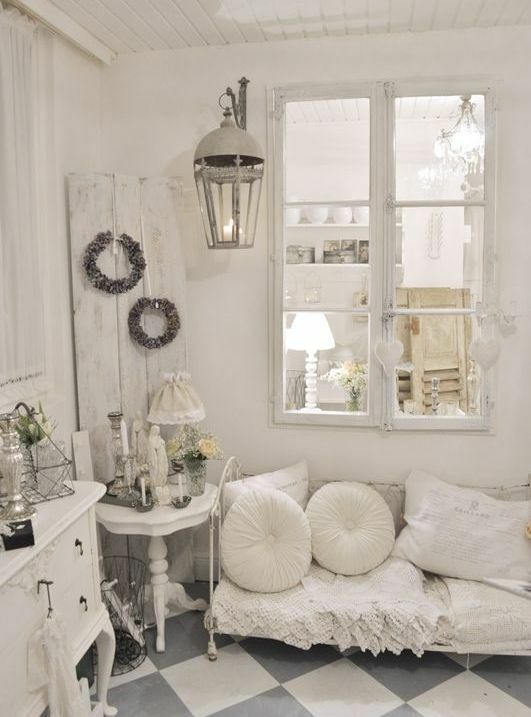 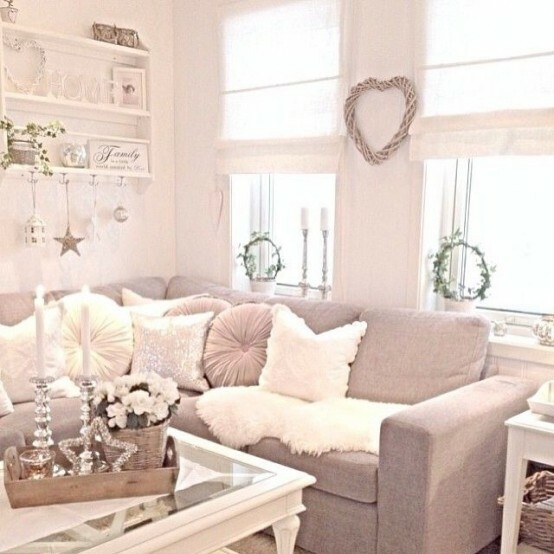 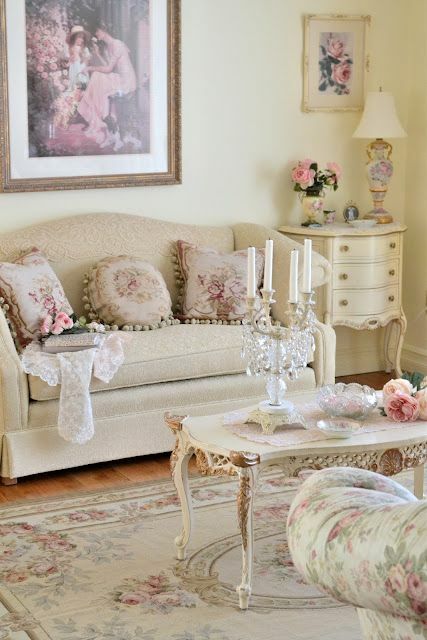 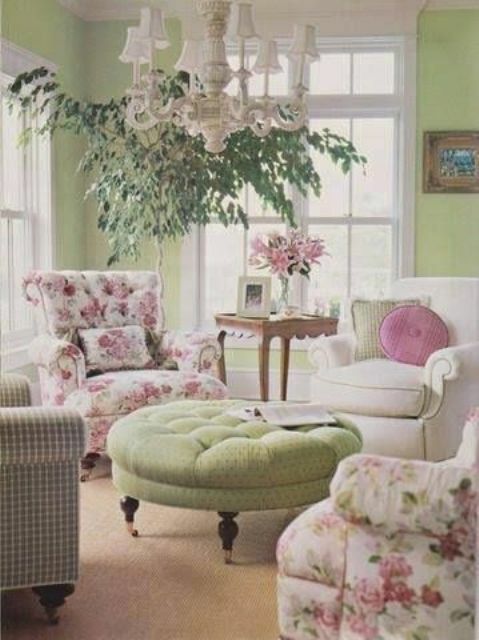 Neutral colors, exquisite furniture, lace, ruffles, beautiful floral textiles – all this looks just stunning! 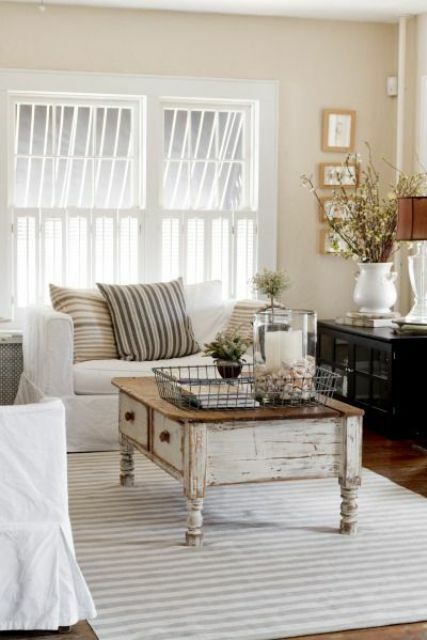 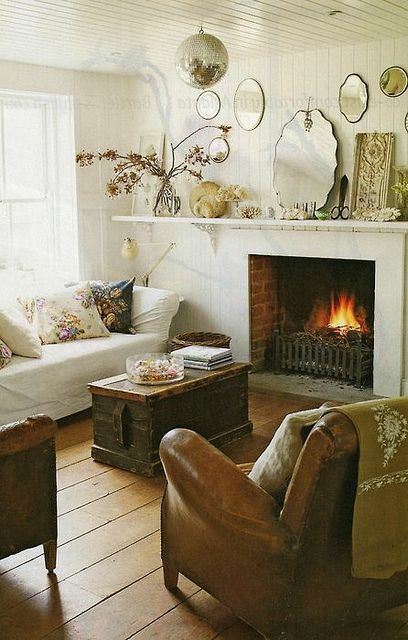 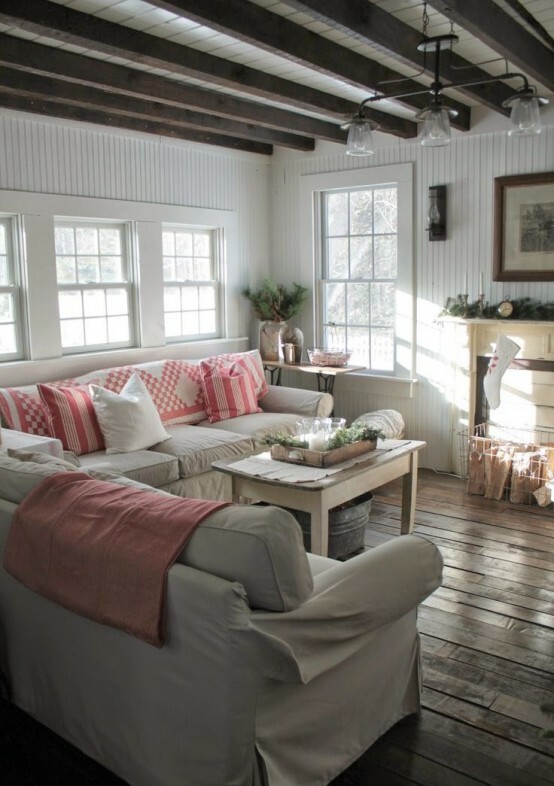 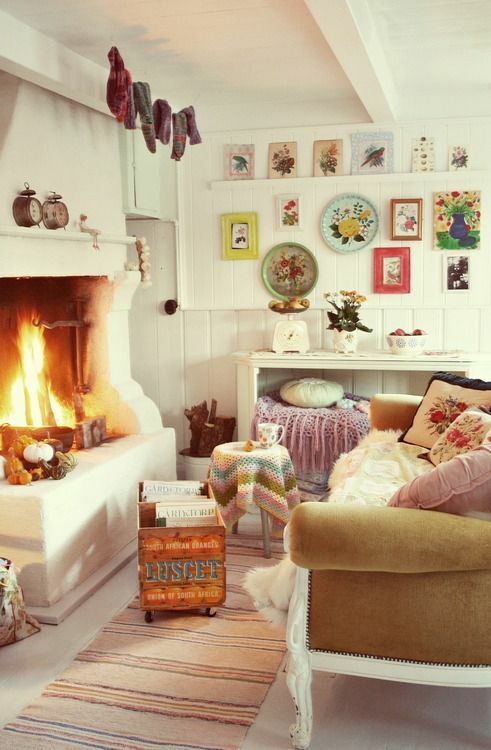 Go for whitewashed floors, walls and even the hearth. 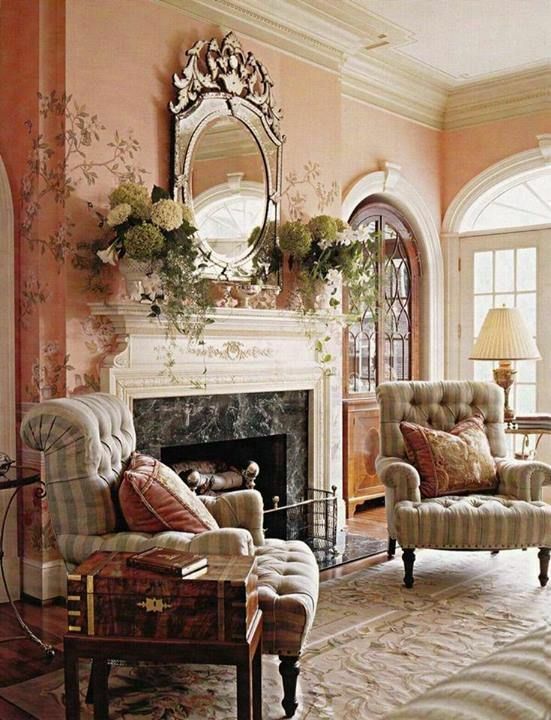 An antique designed hearth or fireplace can become a centerpiece of the room. 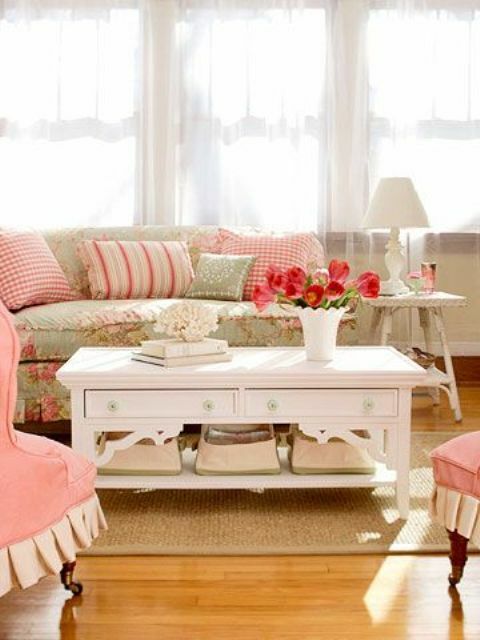 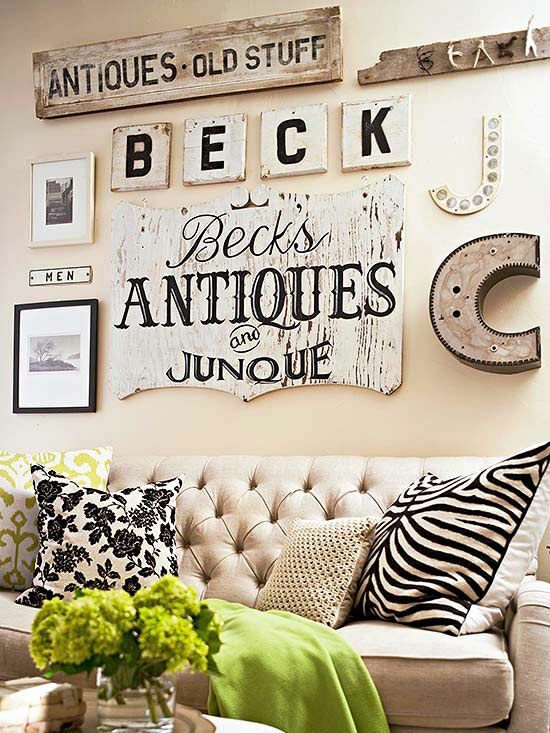 Make some vintage-inspired pallet furniture or buy it at the flea market, crochet some bedspreads, pillowcases and rugs. 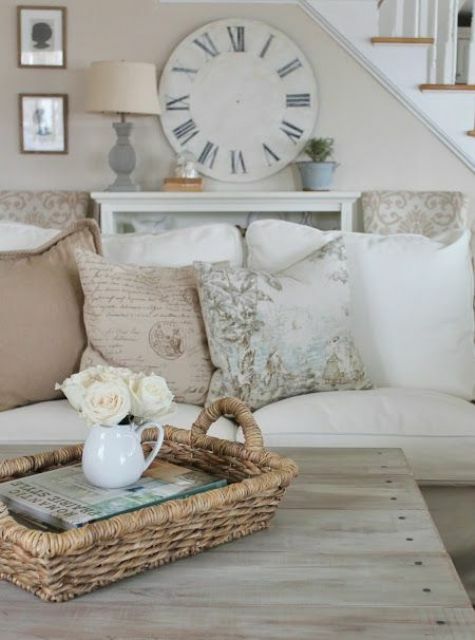 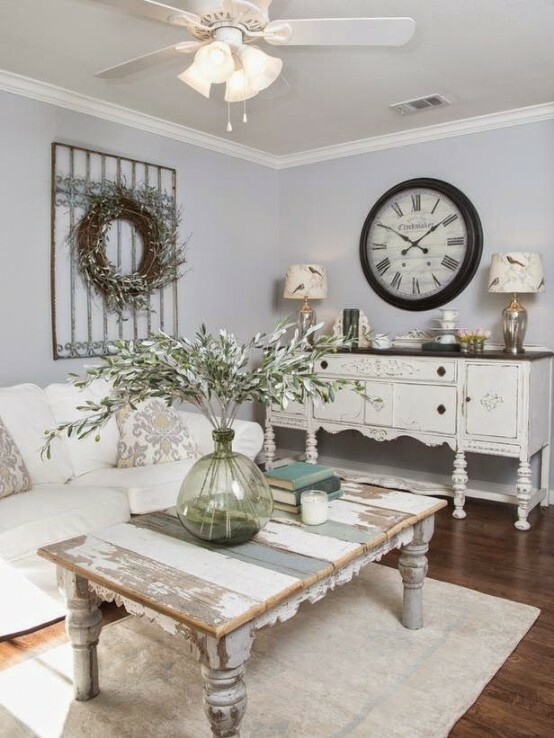 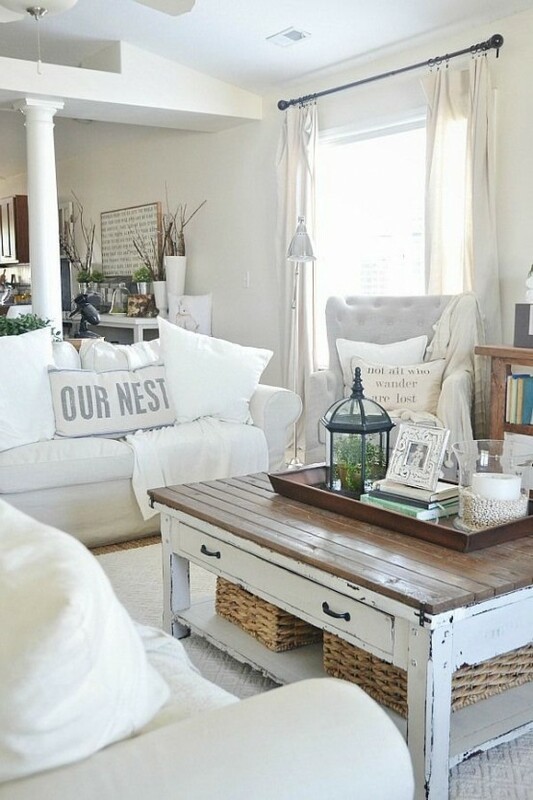 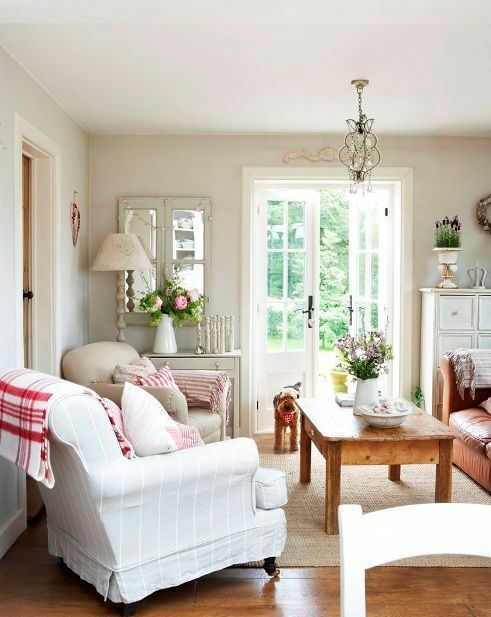 Wood and wicker items will add coziness and rustic touches to the interior. 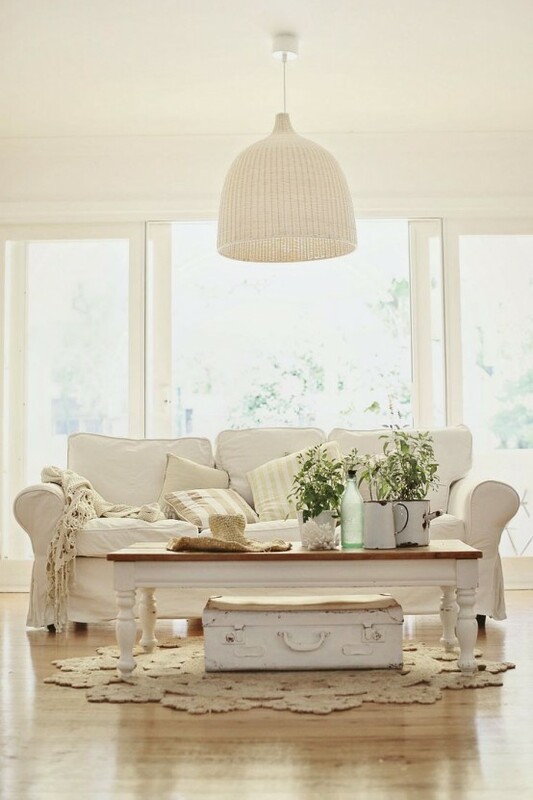 Refined candleholders, lanterns, suitcases and chests for storage – all that will help you to create a desired atmosphere.